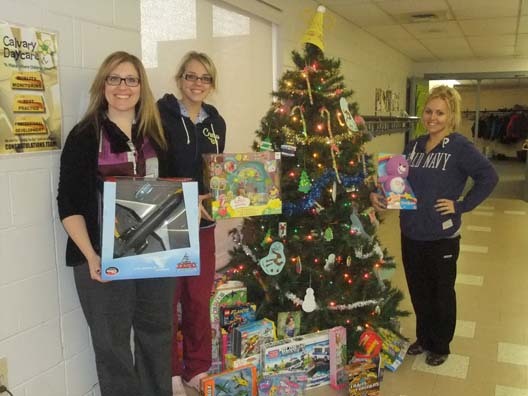 Calvary Day Care staff, Parents, and children donated toys and clothing for our families this Christmas. Pictured in photo is Ashley Smith, Jenifer Skinner and Kristen Schilthuis. Thank you for your generosity.